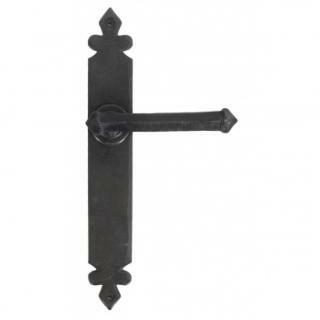 The Tudor lever latch handle sets are unique in that each handle is individually forged in steel on the anvil. The handles are sprung and therefore will work with a multitude of latches, old or new. 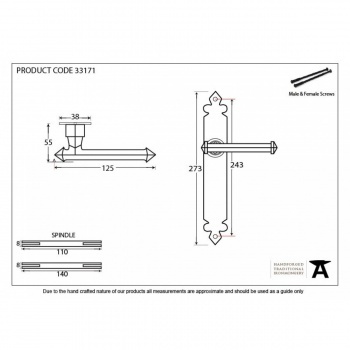 All our handle sets are supplied with both traditional screws and bolt through fixings to suit your preference. Sold as a set and supplied with necessary fixings. Suitable for internal use only but can be used externally if fitted in a protected area like a porch. Maintenance instructions must be followed to preserve the finish of your product.